Home » Blog » Berkeley & Boston, FT Towns Numbers 19 & 20! Berkeley & Boston, FT Towns Numbers 19 & 20! Success from Coast to Coast! The momentum continues to grow across the country for Fair Trade Towns USA. Berkeley and Boston continue generating exciting movement forward by becoming the 19th and 20th Fair Trade Towns in the USA. 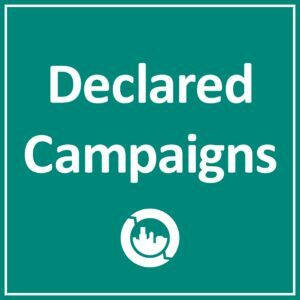 The following come from lead organizers from the two campaigns. Please join us in congratulating both teams for all of their hard work and for a job well done! Celebrating Fair Trade in Berkeley! Just less than a year after forming the Fair Trade Berkeley Steering Committee, Berkeley, CA passed a Fair Trade Towns resolution on July 13, 2010. The Berkeley Steering Committee is comprised of a small, tight core of Berkeley residents who are both passionate about Berkeley and the principles of Fair Trade. For the past 12 months, committee members leveraged the consumer values already active in Berkeley (i.e., buy local, consume in accordance with precautionary principle and buy sweat-free) to address local retailers, community organizations, Faith communities and Berkeley residents about the importance of Fair Trade. Not surprisingly, Berkeley has been very supportive of the campaign. Events created to promote and celebrate Fair Trade Month and Reverse Trick-or-Treating (October, 2009) were met enthusiastically by those who already understood the importance of Fair Trade, and served as important education opportunities for those just coming on-board. One of the highlights in the Berkeley campaign, to date, was, “Berke-opo-ley,” a Buy Local, Buy Fair Shopper Awareness Game. The game was created by the Steering Committee and made for great incentive to develop stronger connections Berkeley business owners. It also helped generate greater visibility for Fair Trade Products and increased media attention toward the campaign. Through Berke-opo-ley, the steering committee grew “adjunct” members who are readily available to weigh-in on decisions and lend expertise, where applicable. This has helped the campaign significantly and with the resolution now passed, the committee has begun – with these new partners – to develop a strategic plan for education and outreach efforts as the campaign’s next phase. Fair Trade Boston, convened by the Boston Faith & Justice Network, is a coalition of congregation-based Fair Trade teams, student groups and ethical businesses that are committed to mobilizing Boston to become a Fair Trade city as part of the national Fair Trade movement. This coalition’s strength is due to its broad membership and strong support from a variety of national and local partners. Fair Trade Boston equips congregational teams to organize for Fair Trade in their churches in an effort to support the campaign goals. Church teams host events to educate and mobilize their congregations towards greater understanding and action around Fair Trade. Teams are empowered to recruit new partners – faith-based or secular – to undertake the same activities until, collectively; these teams reach the numerical goals for making Boston “Fair Trade”. Student groups form a vibrant part of our core volunteer work. Approaching the issue from a variety of perspectives (faith, environmental justice, economic justice, international development) students bring an enthusiasm and vitality to our campaign that reflects one of Boston’s unique resources – its sizable student population. In addition, Fair Trade Boston’s work is consistently supported through the assistance of one or more intern-activists from area universities. Strong partnerships with a variety of local and national businesses underscore Fair Trade Boston’s ability to engage grassroots justice leaders and to encourage and support local businesses. Businesses that form active members of the coalition include Ben & Jerry’s, Equal Exchange, Autonomy Project and Proxy Apparel. Courtney Lang brings over 5 years of community organizing to Fair Trade Towns USA, building both the Local Food and Fair Trade networks in Vermont. As Local Food Coordinator with City Market/Onion River Cooperative, Courtney worked with local producers, institutions and consumers to grow the local food system and organize a strategic model for community engagement through farm tours, workshops, and local food challenges. Like many in the Fair Trade industry, Courtney was inspired to take action in Fair Trade when she witnessed child-labor first hand in Costa Rica. 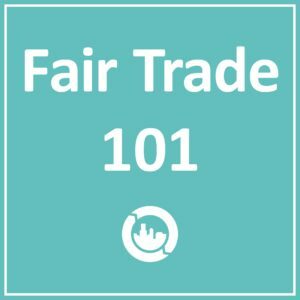 As a founding member of Fair Trade Burlington, she has worked with economic development organizations, businesses, and consumers to build awareness of Fair Trade among Vermonters. She also worked with a Fair Trade USA licensee, Vermont Coffee Company, as Friend Ambassador where she united the story of Fair Trade to every purchase of coffee.